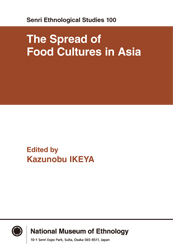 Senri Ethnological Studies publishes individual works, article collections, and annotated bibliographies regarding specific peoples, regions, or themes, with the goal of publicizing in Japan and abroad the results of research conducted by the Museum’s faculty, cooperating faculty, and research fellows. Occasional publication. The purpose of Senri Ethnological Reports is to publicize as quickly as possible the results of research conducted by the Museum’s faculty, cooperating faculty, and research fellows. SER publishes the results of field investigations regarding specific peoples, regions, or themes that require preliminary reports, as well as items of a source material nature such as bibliographies and data collections. 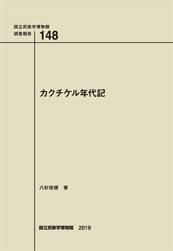 Published in Japanese and other languages. Occasional publication. The Museum supports publication of faculty research results by other publishers (non-museum publications). Publications marked with an asterisk have been published outside the museum.